TGA’s exciting new fall series will examine representations of anthropology in science-fiction. Emma, Marie-Pierre and Rayna will discuss cases from various TV series, movies and books and what they reveal about popular perceptions on this science and its branches (archeology, linguistic anthropology, biological anthropology and sociocultural anthropology). In preparation for this series, which will be published starting on September 4th, we wish to list examples of representations of anthropologists and anthropology in science-fiction. In this, we need you help dear TGA readers! 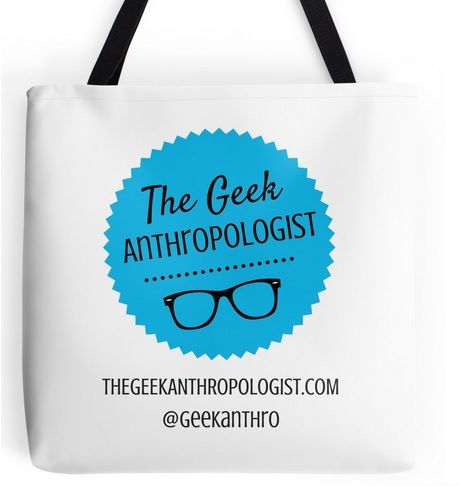 Do you remember an anthropologist in a Twilight Zone episode? A description of ethnography in a sci-fi magazine? Margaret Mead being mentioned in a book about little green men? The scenario of a Star Trek or Stargate SG-1 episode introducing perspectives and concepts closely related with anthropology? List examples you can think of in the comments the Anthropology in Outerspace page we created for this series! Feel free to add examples from other genres of pop culture as well and to share your own work on science-fiction and anthropology! We look forward to engaging in dialogue with all TGA readers with this series! One Twilight Zone pops into mind as a zany example of “studying Earthlings”: _Mr. Dingle, the Strong_. A Venusian and a two-headed Martian walk into a bar…and give Burgess Meredith the strength of five hundred men as an anthropological experiment. Thanks for providing this info! I’ll add it to our list!